A little piece of my heart and soul will always belong to San Francisco and despite moving out of the area and settling into Phoenix, I will still visit. San Francisco is a thriving, ever-changing city, one that takes lots of time to explore thoroughly, which is why I am still making my way through the neighborhoods with my San Francisco Profiles series. 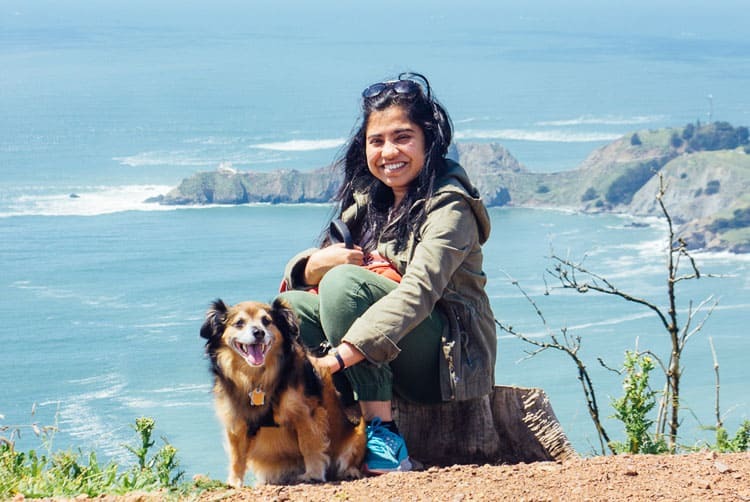 Today I’d like to introduce you to Paroma of Year of the Monkey, a travel blogger and San Francisco resident passionate about food and pets. She lives in the Western Addition section of the city which is largely residential but also adopts the Japantown area, which is not technically a neighborhood. So we get a bonus today, Western Addition AND Japantown! 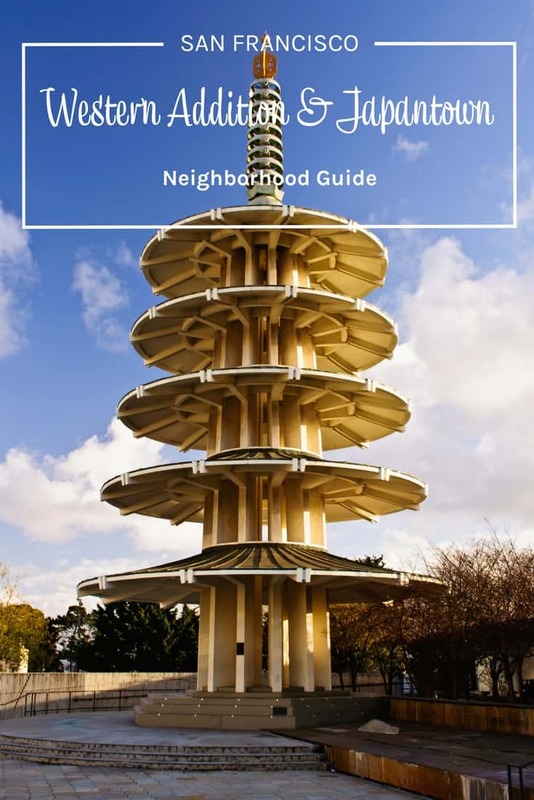 Let’s meet Paroma and tour Western Addition and Japantown. Favorite thing about Western Addition/Japantown. The beautiful Japan Town Mall featuring Japanese stores, the famous Kinokuniya book store, and the nearby Japanese Nijiya Market. Least favorite thing about Western Addition/Japantown. Being an indoor mall, Japan Town mall is not dog-friendly and I so wish it were. Western Addition is not as safe as the more affluent neighborhoods of Lower Pacific Heights and Hayes Valley and this is something that I am not super proud of as a resident. Western Addition, my neighborhood has the only other Japantown in Northern California (the other being in San Jose). 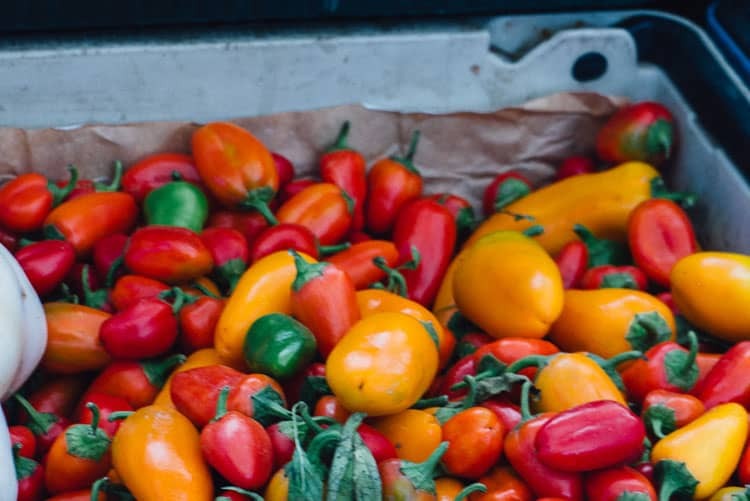 Plus, the super famous Fillmore Theatre is right here and we have our own farmer’s market every Saturday, with a live jazz band to accompany it! 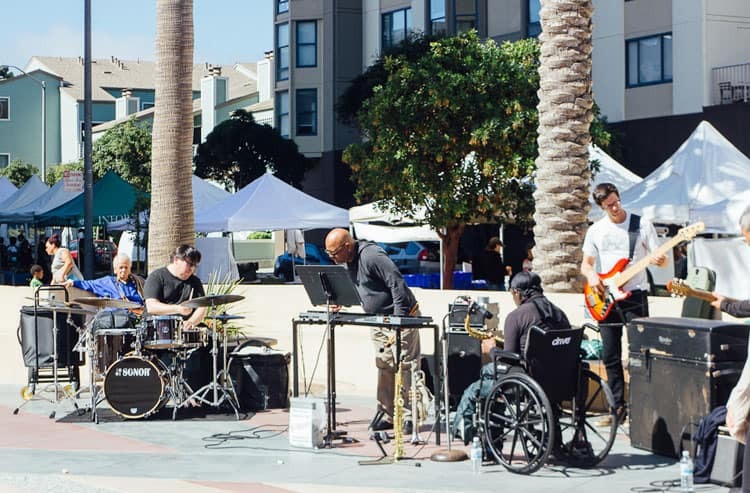 Finally, this used to be the erstwhile jazz district of San Francisco and although almost all the jazz clubs are long gone, the neighborhood springs to life during the Fillmore Jazz Festival or any Japantown street fairs such as the Nihon Machi or the Cherry blossom festival. Favorite coffee spot in Western Addition/Japantown. YakiniQ cafe on Post Street. Their sweet potato latte is unique and a must have! Favorite spot for drinks in Western Addition/Japantown. Dosa on Fillmore. They have a pretty good happy hour where drinks and bar bites are 50% off. Favorite local hangout in Western Addition/Japantown. The peace plaza and the Buchanan Mall in Japan Town are two good places for people watching and hanging out. The nearby Jefferson Park is our little patch of green to walk our dog. The Sundance Kabuki theatre is also another favorite theatre to watch movies. Favorite breakfast spot in Western Addition/Japantown. For breakfast, I simply grab a bagel from Wise Sons Deli which is absolutely delicious. Dosa on Fillmore and 1300 are two other favorites for getting Indian or Southern inspired brunch. Favorite lunch spot in Western Addition/Japantown. Favorite dinner spot in Western Addition/Japantown. That will be either Progress or it’s sister restaurant State Bird Provisions, which was voted the best new restaurant in North America in 2013. Again, super difficult to snag a reservation at the latter, but if you do manage to get in, then be prepared to be blown away by their food served in dim-sum style carts. 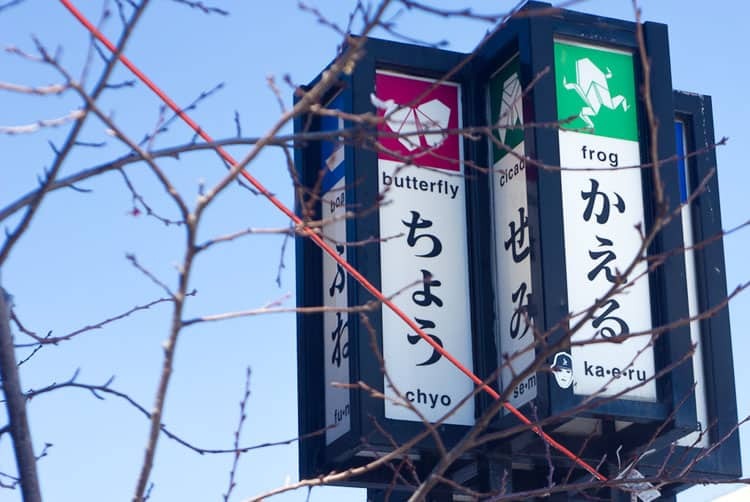 Give them a tour of the Japan town mall, have crepes at Belly Good Cafe and Crepes (inside the mall) and take them to YakiniQ for some sweet potato latte! Check out Paroma’s blog Year of the Monkey and keep up with her adventures on Facebook, Instagram, and Pinterest! > Herbivore 9531 Divisadero St, b/t Fell St & Hayes St) Vegetarian resto with a nice patio. > 1300 on Filmore (1300 Fillmore St b/t Ellis St & Eddy St) $12 unlimited pomosas (sparkling wine, PAMA liqueur, and a splash of juice). > YakiniQ Cafe (1640 Post St, b/t Laguna St & Buchanan St) As Paroma mentioned, sweet potato latte! > Marufuku Ramen (1581 Webster St, b/t Post St & Geary Blvd) Good ramen shop, get the chicken paitan with sweet corn. > Tanpopo (1740 Buchanan St, b/t Post St & Sutter St) Old school Yakisoba. > Waraku (1638 Post St, b/t Laguna St & Buchanan St) Get the pork tonkatsu or Tsukemen ramen. > Nijiya Market ( 1737 Post St, b/t Webster St & Buchanan St) THE place for bento boxes. > State Bird Provisions (1529 Fillmore St, b/t Ofarrell St & Geary Blvd). Make a reservation as soon as you think you are coming to SF! 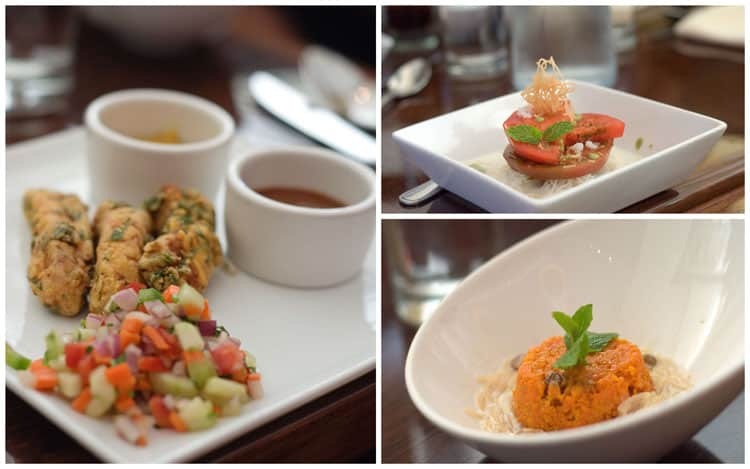 Award-winning dimsum style small plates. > The Progress (1525 Fillmore St, b/t Ofarrell St & Geary Blvd). Same owners as State Bird, family-style meals. > Udon Mugizo (1581 Webster St, b/t Post St & Geary Blvd) Kobe beef udon. > Pizza Inferno (1800 Fillmore St, b/t Bush St & Sutter St) Don’t miss the inferno special with ground beef, basil, mozzarella and tomato sauce. Simply perfect. > Benkyodo Co. (1747 Buchanan St, b/t Post St & Sutter St) Japanese bakery with delicious mochi and other treats. > Miyako Old Fashioned Ice Cream (1470 Fillmore St) cash only scopped by the beloved Tom, Japanese flavors. 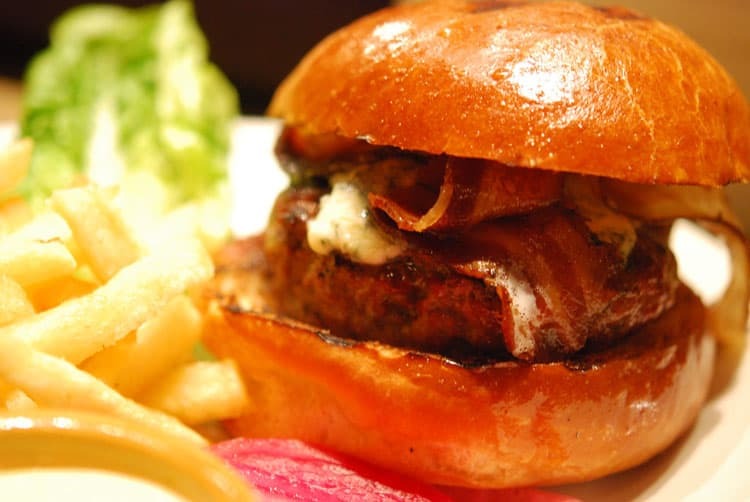 > Fat Angel (1740 O’Farrell St, b/t Fillmore St & Steiner St) They’ve got food, but go for the massive beer menu. > Festa (1825A Post St, Kinokuniya Building, b/t Webster St & Fillmore St) Karoke bar! Amazing saketinis or go for the lychee martini. > Dimples (1700 Post St, b/t Webster St & Buchanan St) Neighborhood dive bar. > Mitsu Teahouse (22 Peace Plz) Japanese teahouse with boba as well! > Social Study (1795 Geary Blvd) Four Barrel and bar bites, great place to work. > Daiso (22 Peace Plz) All things Japanese for cheap! > Soko Hardware (1698 Post St, b/t Laguna St & Buchanan St) Quirky household goods. > The Fillmore (1805 Geary Blvd) Great bands and free apples! > Kabuki Springs & Spa (1750 Geary Blvd at Webster St) Spa with communal baths, steam rooms, and saunas. > Northern California Cherry Blossom, largest in the U.S. held every April. > J-Pop Summit – Japanese art anf food festival, September every year. > Fillmore Jazz Festival – every July. > Hotel Kabuki (1625 Post Street, b/t Laguna St & Buchanan St) Eastern influenced boutique hotel. > Kimpton Buchanan Hotel (1800 Sutter St, b/t Webster St & Buchanan St) Trendy Japanese style rooms, some with anime! > Both Western Addition and Japantown are mainly residential areas with limited commercial lodging however there are a couple of properties available for rent on Airbnb. How about you? 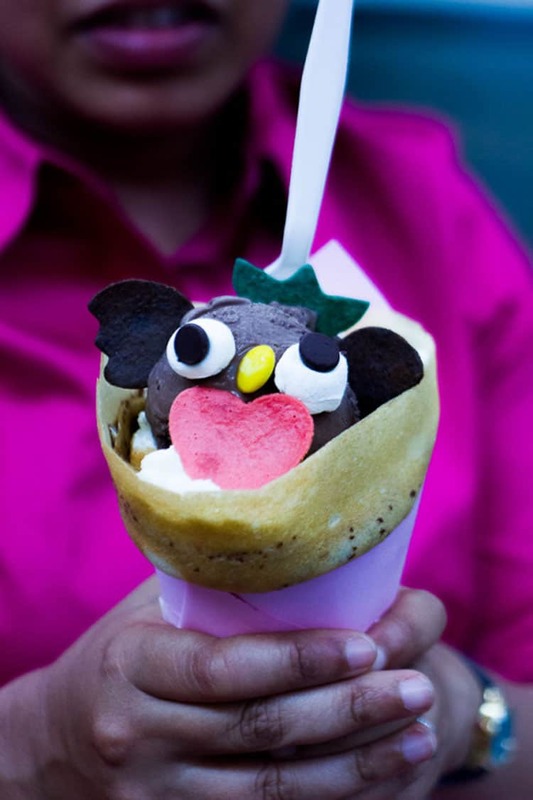 Do you have any Western Addition/Japantown additions? Have you been to this area of San Francisco? Did you find this post helpful for a future trip? If you live in San Francisco and would like to share your favorite spots in your neighborhood, reach out to me, I’d love to have you! I love to find new bloggers to follow. I will have to check out Paroma’s blog Year of the Monkey. Beautiful pictures, great list of things to do. Thanks for sharing. I’ve never been to SF let alone Japantown but your little tour here is encouraging. If I ever make it out that way, I’ll be sure to visit. This was very helpful! I want to go now. I visited San Francisco a few years ago and just fell in love with the city! 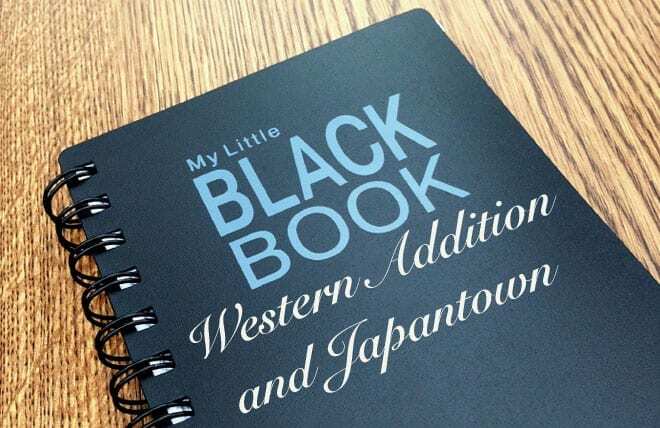 Next time I go I will definitely spend time in Western Addition/Japantown. Thank you for recommending some great places to eat. 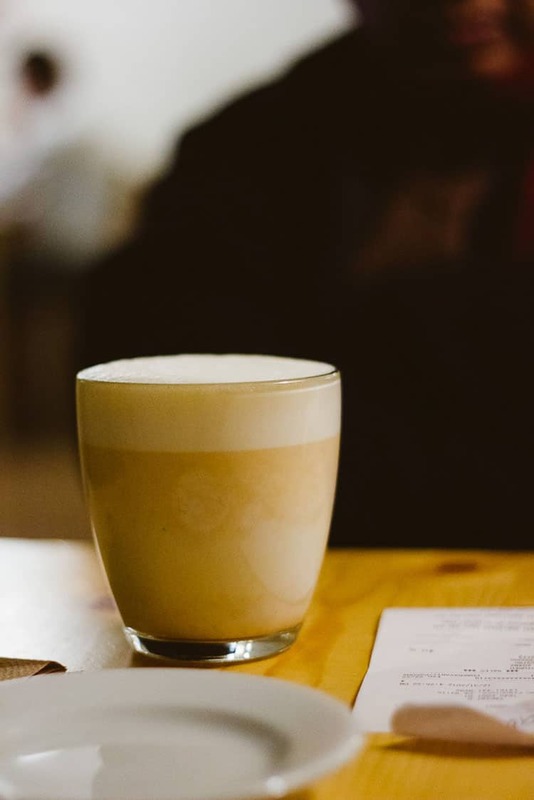 I must have that sweet potato latte and go to Belly Good Cafe and Crepes! That is pretty neat that there is a Japantown in San Francisco. We don’t have one in my city. What fun to see San Fran’s Japantown again. I actually never returned there even though we moved to San Jose after living in Tokyo for 3+ years. Maybe it’s not the real thing but … better than nothing. WOW! Gorgeous picture! , So many fun things to do! I love visiting San Francisco! There is so much to do there. Sounds like you had an amazing trip! I have never been to San Francisco but I have always wanted to! All of your pictures look amazing, especially that food! I’m definitely going to have to get there somehow one day!! Thanks for sharing! I’ve heard so much about San Francisco. All in all, it is a nice place to work and live with the family. Wish to visit this place one day. San Francisco is said to have the best chinese food restaurants, and hub for startups and fintechs. 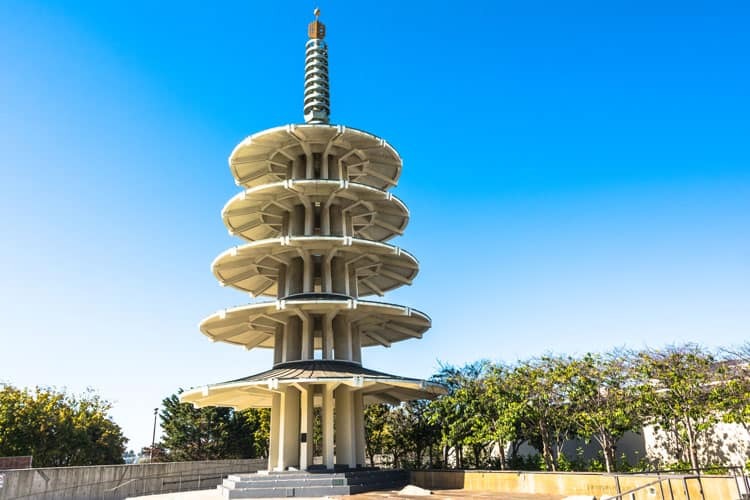 Cool place, japantown.. lots of stuff there there to do, see and eat! 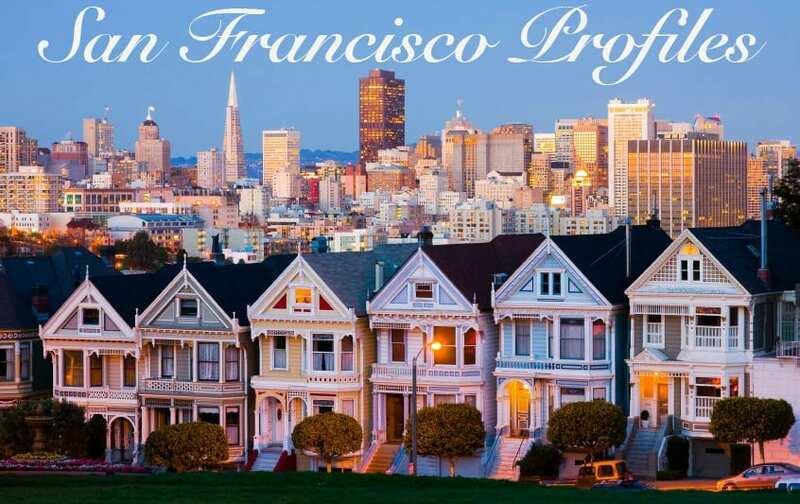 i havent been to SF yet but its on myu short list. Wow! I haven’t been to San Francisco in quite a few years. I’d love to go back soon!